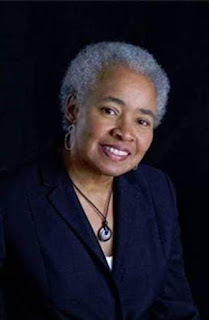 Sylvia Thompson on Obama's "legacy"
To the many gullible souls out there who truly think that Barack Hussein Obama is "legacy building" in his all-out assault on America, I implore you to bow out of the conversation because you are not seeing clearly. The term legacy carries positive connotations of something bequeath that is to the receiver's benefit. Everything that Barack Hussein Obama does is calculated to destroy America, which he despises. This man no more cares about legacy than he fears being properly prosecuted by the white political leaders whose responsibility it is to remove him from office. Barack Hussein Obama's sole aim has been, since he first entered politics and continues as he winds down this presidency, the complete destruction of America as it was founded. Obama's nuclear deal with Iran has nothing to do with legacy but rather to enable a Muslim nation to wage nuclear war with America and Israel the two nations that he most despises. Does anyone wonder why Russians praise Vladimir Putin despite what the rest of the world might think of him? Putin cares about his country, that's why. Bill Clinton started the travesty of increasing the numbers of third-world immigrants at the expense of culturally more suited immigrants from European and European-influenced nations, but Obama has taken the trend to lawless, destructive extremes. He is fully aware that many of these invaders have no intention of assimilating.